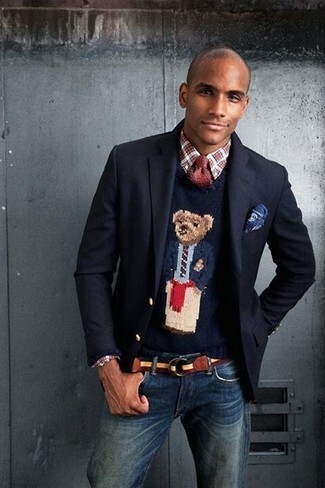 For a nothing less than incredibly stylish outfit, make a navy wool blazer and navy dress pants your outfit choice. 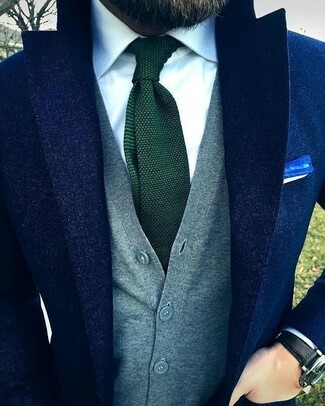 For a smart casual outfit, consider wearing a John Varvatos Star USA piped wool sport coat from Nordstrom and dark green chinos — these two pieces fit really well together. Up the cool of your ensemble by complementing it with brown leather derby shoes. 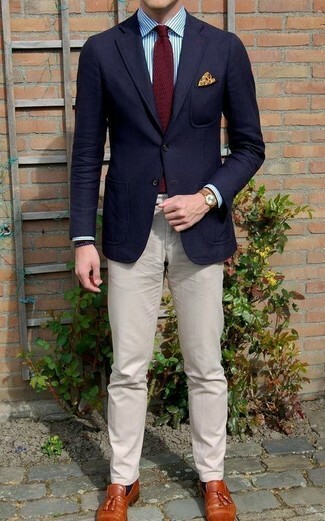 For a casually elegant ensemble, consider pairing a navy wool blazer with beige chinos — these two items go really nice together. And if you want to instantly up the style of your look with one piece, enter tobacco leather tassel loafers into the equation. 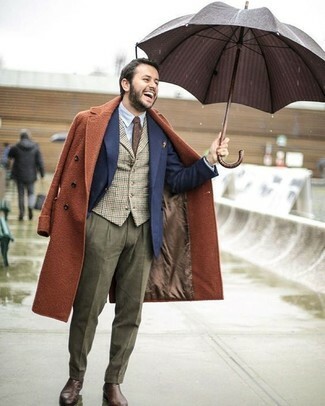 Consider teaming a John Varvatos Star USA piped wool sport coat with grey wool dress pants like a true gent. 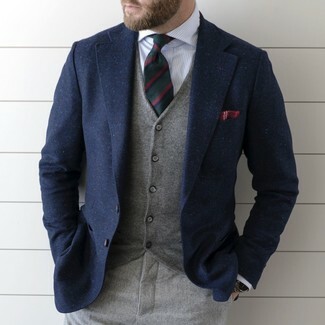 For a casually elegant outfit, consider wearing a John Varvatos Star USA piped wool sport coat from Nordstrom and navy jeans — these pieces the workplace beautifully together. 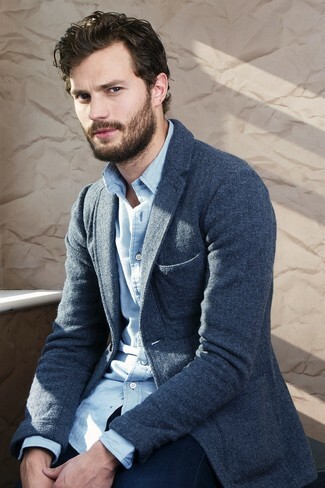 Team a John Varvatos Star USA piped wool sport coat with olive dress pants for incredibly stylish attire. Add a more relaxed vibe to your look with brown leather chelsea boots. 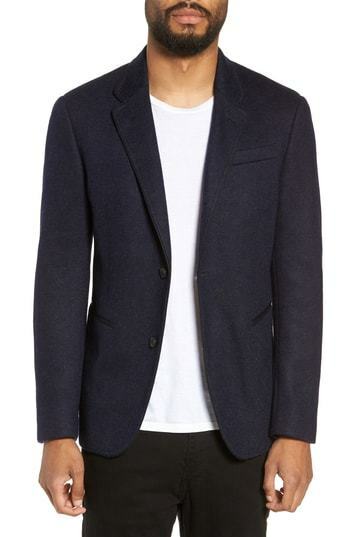 For a casually elegant outfit, wear a John Varvatos Star USA piped wool sport coat with navy jeans — these items go nicely together. 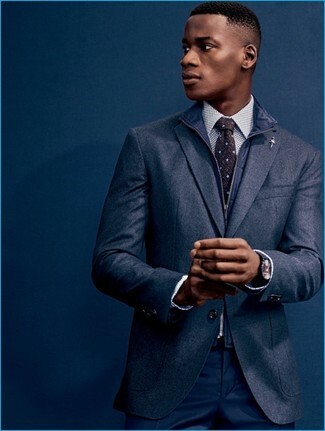 Choose a John Varvatos Star USA piped wool sport coat and a grey sweater vest for a sharp, fashionable look. For a nothing less than incredibly stylish getup, rock a navy wool blazer with black dress pants. 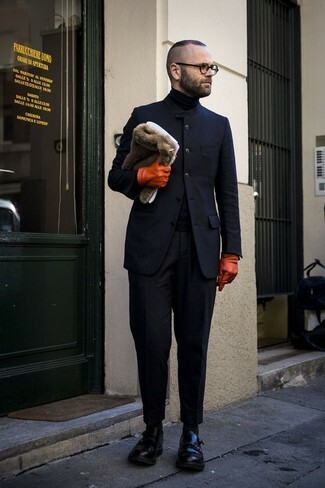 For something more on the daring side to complement this ensemble, go for a pair of black leather double monks.